It should come as no surprise to Chicagoans that 2015 was the hottest year on record. A snow-free, unseasonably warm holiday season surely gave Chicagoans a clue – 2015 is the hottest year on record. What may come as a surprise to some is that Chicago and the Midwest aren’t alone – the hottest year on record hit the entire United States and rest of the globe. And 2015 follows a string of recent record-breaking warm years linked to global warming. This uniform warming is “the big story” of weather data in 2015, said Gavin A. Schmidt, director of the Goddard Institute for Space Studies at NASA, and Thomas R. Karl, director of NOAA’s National Climate Data Center, at a media conference call on Wednesday. 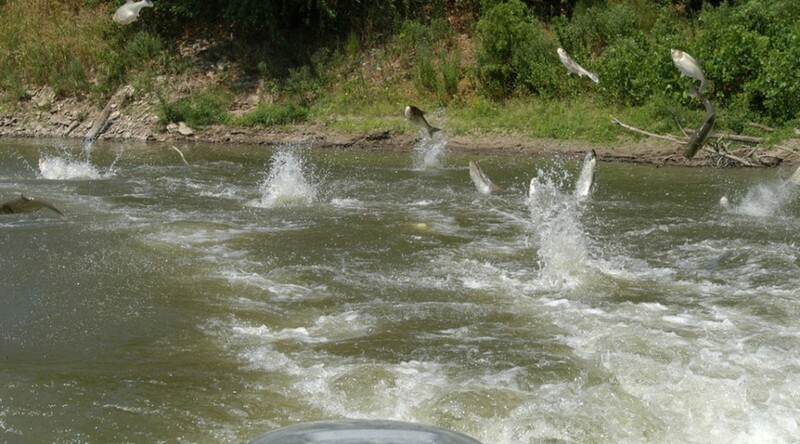 The only thing keeping Asian carp from escaping into Lake Michigan is an electrical barrier located along the river. The barrier doesn’t actually electrocute the fish, but repels them when they encounter the strong electrical field. But some researchers are concerned about whether the barrier can withstand the movement of barges through the river. Imagine trying to fish for trout in Lake Michigan or other Great Lakes, like your grandfather and father did before you. Fishing is a summer pastime on the lakes. “You’d have to wear armor,” said Marc Gaden, communications director and legislative liaison for the Great Lakes Fishery Commission in Ann Arbor, Mich. He said this might be the only solution for fishermen if Asian carp get into the lakes. Marc Gaden, communications director and legislative liaison for the Great Lakes Fishery Commission, said this might be the only solution for fishermen if Asian carp get into Lake Erie. Case in point: Lake Erie.